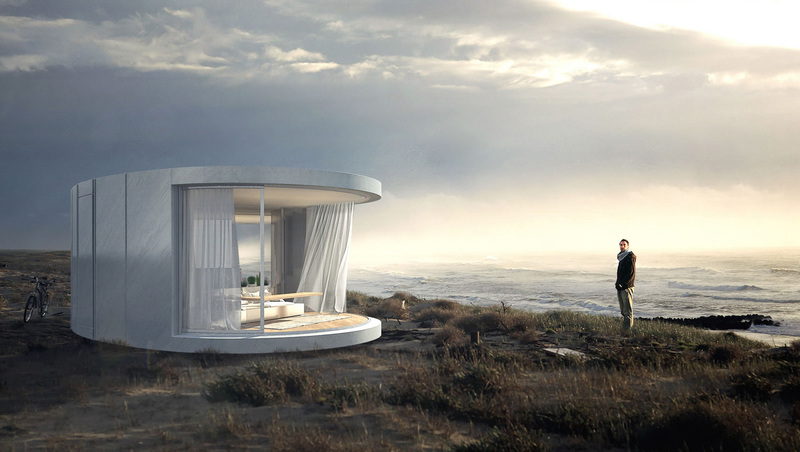 Lumishell is a prefabricated dwelling designed to provide a comfortable cocoon habit in different, and potentially harsh, weather conditions. 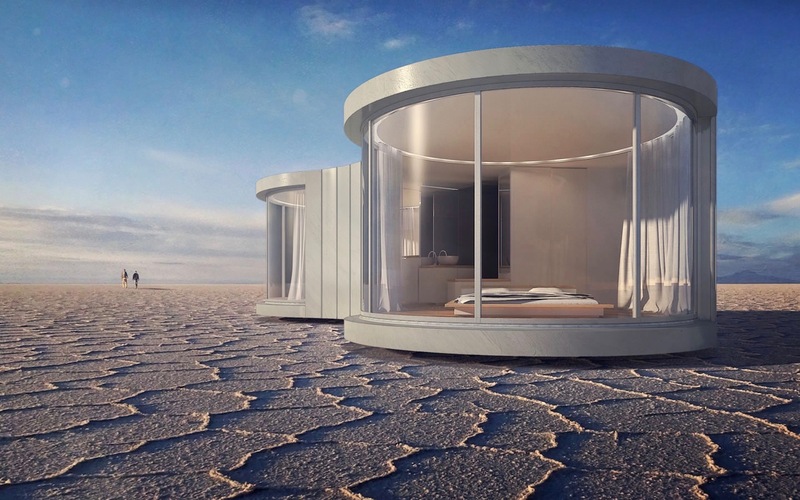 The project is a collaboration between Lumicene, a company that has developed curved, reversible sliding windows, and French architect Christophe Benichou. The team has designed the dwelling to sit in nature, providing panoramic views and creating an intimate relationship between interior and exterior spaces. Lumishell is wrapped in an aluminum shell which appears to fold and shrink, following the curve of the bean-like structure. The small-sized accommodation houses all the necessities: a living room, bedroom, thin kitchen, and bathroom. The first installation of these structures is expected over the course of 2018. 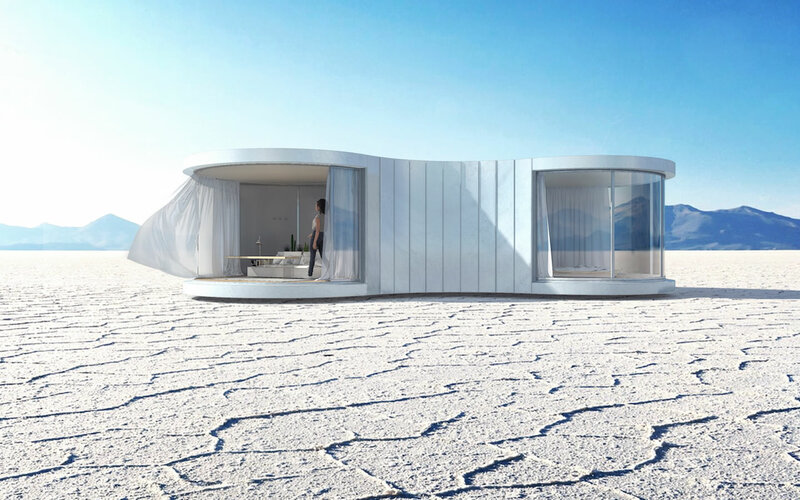 Lumicene and Christophe Benichou sought to create a human habitat that can extend the boundaries of comfortable living in harsh environments.